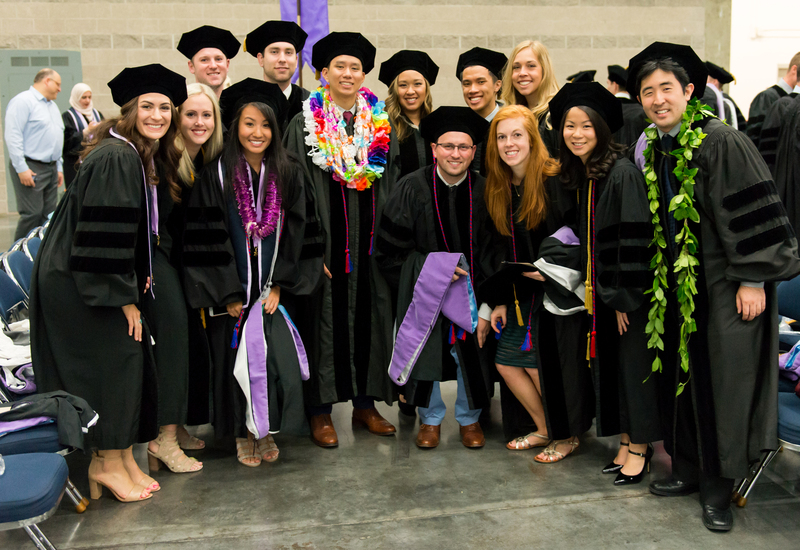 A new generation of health care professionals, educators and researchers are graduating from OHSU this month. Commencement ceremonies begin Sunday, June 3, and will continue through the month. A total of 1,218 degrees will be awarded. 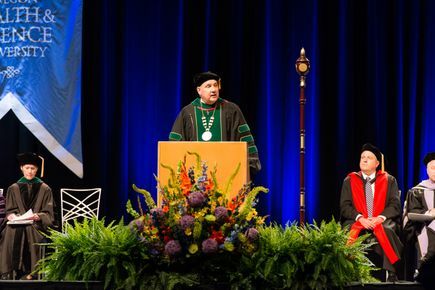 Ceremonies for the schools of Medicine, Dentistry, Nursing and the OHSU-PSU School of Public Health will be held June 3 at the Oregon Convention Center. 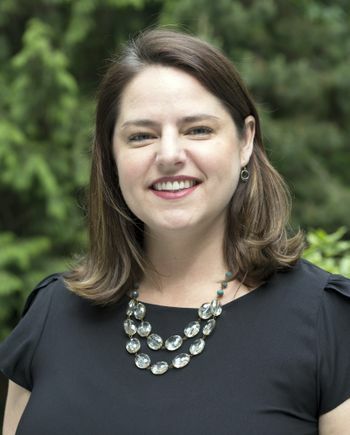 The speaker will be Oregon state Sen. Elizabeth Steiner Hayward, who is also an adjunct associate professor of family medicine in the OHSU School of Medicine. 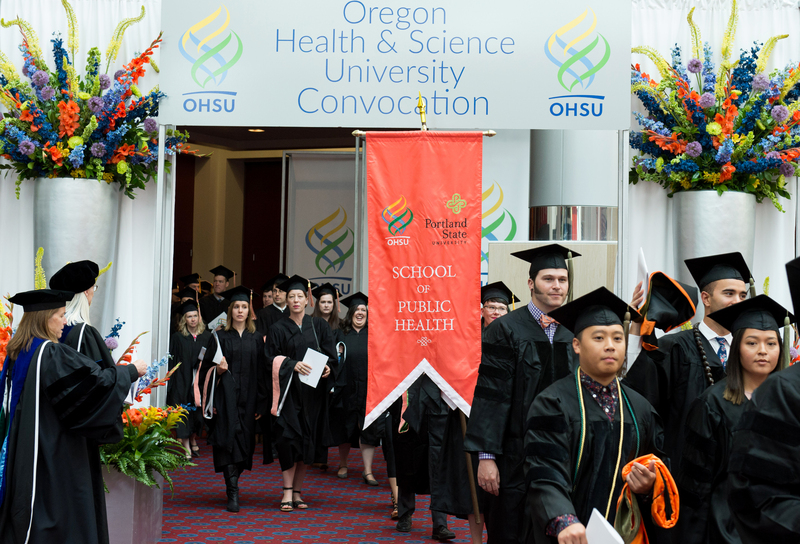 Ceremonies for the Oregon State University/OHSU College of Pharmacy and the OHSU School of Nursing campuses outside Portland will take place June 14-16. 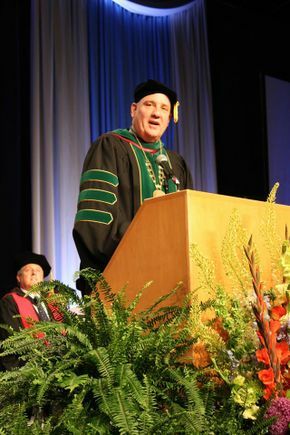 The OHSU School of Dentistry will award 81 degrees this year. The OHSU School of Medicine will award 494 degrees and certificates. The OHSU School of Nursing will award 488 degrees and certificates. The OHSU-PSU School of Public Health will award 73 degrees and certificates. The OSU/OHSU College of Pharmacy will award 82 degrees. Eddie Ramirez has wanted to be a dentist since he was 8. That’s when he first observed his aunt, then a newly minted dentist in Mexico, work in her clinic. He put on gloves, cleaned out spit bowls and was hooked. It hasn’t been easy to achieve his dream, however. He was 1 when his parents brought him to the U.S. from Mexico on a tourist visa, which brought both opportunities and challenges. Ramirez is the first undocumented immigrant to attend the OHSU School of Dentistry. Even with a dental degree, his future remains uncertain. 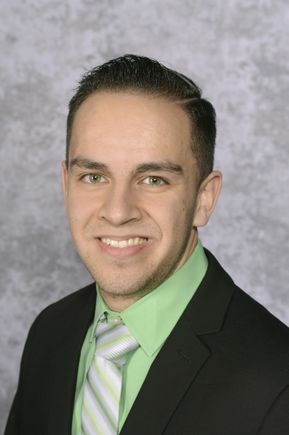 He’s able to work through the Deferred Action for Childhood Arrivals program, or DACA, which is under ongoing debate in D.C.
Ramirez attended OHSU through the Scholars for Health Oregon Initiative, which requires its scholarship recipients to work five years in rural or other underserved areas. Starting Aug. 1, he will be at the Hillsboro dental clinic of Virginia Garcia Memorial Health Center, which cares for farmworkers and other underserved populations in Washington and Yamhill counties. Lauren Harry will participate in commencement June 3, but she actually graduated March 23. She graduated early this year thanks to OHSU’s new YOUR M.D. curriculum, which her class is the first to complete. OHSU launched the YOUR M.D. curriculum in August 2014. The curriculum moves away from a one-size-fits-all, lock-step education plan to a more personalized, flexible and interactive curriculum that emphasizes demonstrating competency in core areas. While the ability for students to move through at their own pace has not yet been fully implemented, 32 students in this year’s class shaved off the last term of medical school. Harry front-loaded her requirements to finish early, for a savings of $11,784 in tuition and fees. She dreamed of playing the clarinet professionally but studied both music and pharmacy at Oregon State University to ensure a decent-paying day job – until she realized she loved chemistry more than music theory. After shifting to pharmacy, she discovered building long-term relationships with patients and having a wider range of therapeutic tools in her toolbox was even more appealing. Following commencement, she will head to University of South Florida for a residency in vascular surgery. Christine Lasich, R.N., M.S.N., A.G.A.C.N.P.-B.C. Though Christine Lasich loved being an ICU nurse for 15 years, she wanted more. This was why, 12 years after last being a student, Lasich enrolled in the OHSU School of Nursing’s doctoral program for acute care nurse practitioners (adult gerontology). 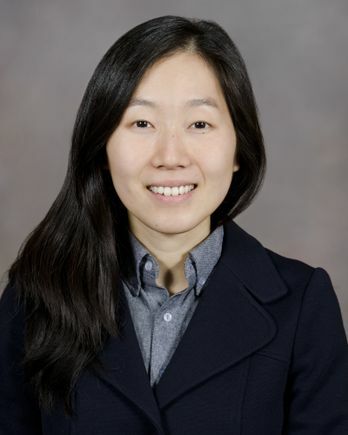 While it was difficult to return to academia as an older student, she was able to meet the challenge with the support and encouragement of family, friends and co-workers. She credits the school’s Hartford Center for Gerontological Nursing Excellence for her the opportunity to learn more about older patients, particularly in a critical care setting. It is the fastest growing group of patients and one she will see a lot of throughout her career. Lasich received a Hearst Endowed Scholarship, which supports future advanced practice nurses whose focus will be the health of older adults. Her resolve and tenacity paid off. She landed a job as the first inpatient nurse practitioner on a primary service floor at Legacy Emanuel Medical Center in Portland. She will start working with Legacy’s cardiothoracic surgery team after graduation and will later work in surgery, ICU, acute care and clinic settings. Kweku Wilson grew up around health care in Ghana, West Africa, as one of seven children raised by a physician father and midwife mother. Wilson didn’t look favorably upon the health care system however. His parents worked a lot, and the family received leftover food from the hospital, which, in a developing country, wasn’t a positive. The irony isn’t lost on Wilson that on June 3, he will receive a doctorate degree in health systems and policy from the OHSU-PSU School of Public Health. “I guess it’s the ghost of my upbringing coming back to haunt me,” he said. Wilson came to the U.S. in 2000 to earn a master’s degree in economics and business administration from Oregon State University. There, Wilson found two loves: His wife, Diana, and an interest in health care. 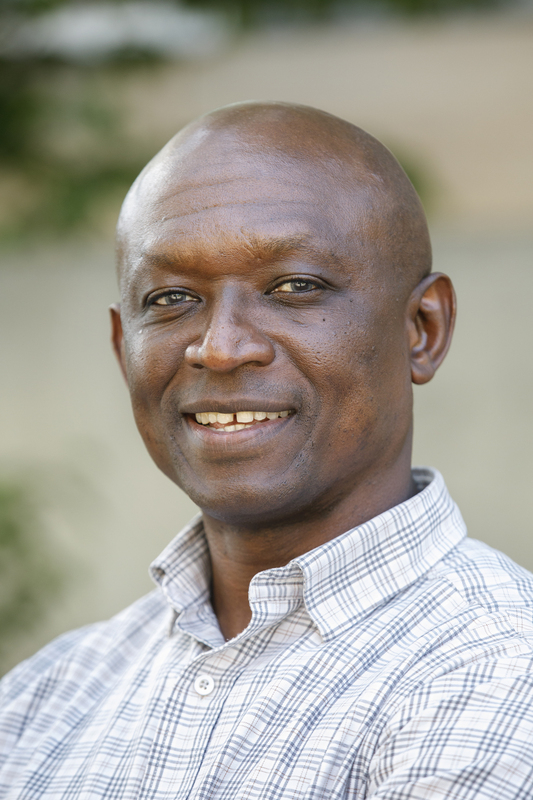 At Portland State University, he received a second master’s degree in public administration in health administration. Far from done, in 2008, Wilson began a decade-long journey to earning his doctorate. Wilson is humble about the challenges he faced and sacrifices he made in pursuing his doctorate. From missing the funeral of his half-brother in Ghana to waiting three years for the data needed for his dissertation, the work was arduous and lonely, and he questioned whether this was the right path. The research for his dissertation - for which he explored cost savings in Oregon’s primary care home health care delivery model - and his work for the Oregon Health Authority demonstrates his focus on improving people’s lives. Bo Weber was lucky enough to find her calling early. Originally from Incheon, South Korea, Bo was always drawn to assisting others. As a first-generation Asian American, she saw her parents face challenges navigating the American health care system and knew she wanted to assist individuals who faced similar obstacles. She counts herself fortunate to have had a science teacher who introduced pharmacy to her and encouraged her to pursue it as a profession. “This is why I decided to be involved with the diversity committee within our college, to introduce this profession to minorities who may not have exposure to pharmacy as a potential career,” Bo said. After earning a bachelor’s of science in microbiology from OSU, Bo researched a novel protein secreted by the diarrheal pathogen Vibrio cholerae and completed a first-author manuscript with the college’s Aleksandra Sikora, Ph.D. She also minored in Spanish and helped primarily Spanish-speaking patients obtain free primary care services through Albany InReach Services, which provides free medical care to low-income adults with no insurance. She also pursued another project in epidemiological research, with the college’s Jon Furuno, Ph.D., M.S., that was funded by the American Foundation for Pharmaceutical Education. Following graduation, Bo will work for Legacy Health in Portland, Oregon, as a first-year pharmacy resident. A convocation ceremony for all OHSU schools will take place at 1 p.m., Sunday, June 3, 2018, at the Oregon Convention Center, 777 NE Martin Luther King Jr. Boulevard, in downtown Portland. 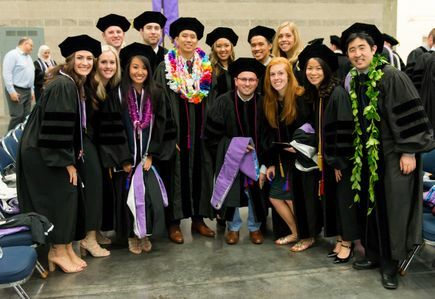 Shortly following the ceremony, graduates of the schools of Dentistry, Medicine, Nursing and the OHSU-PSU School of Public Health will move to their individual school hooding ceremonies to be recognized for their academic achievements. 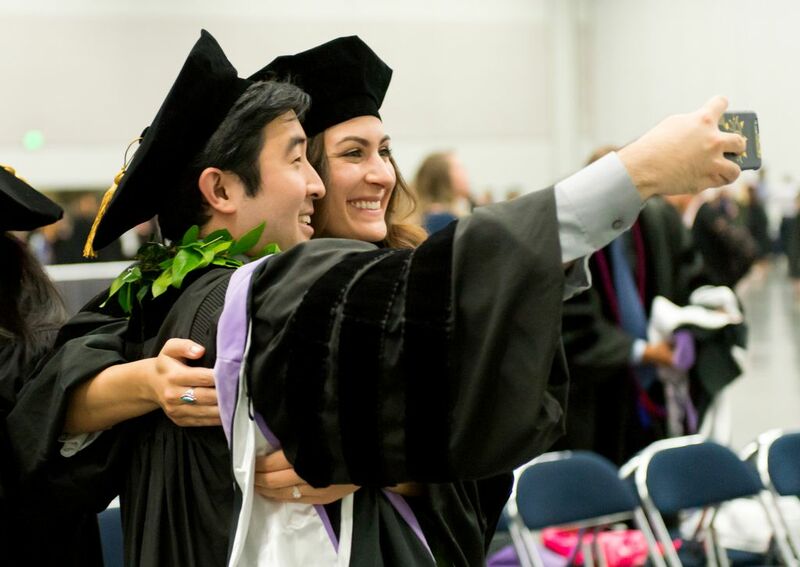 OHSU administration will host receptions for all graduates, faculty, family and friends following the ceremonies. 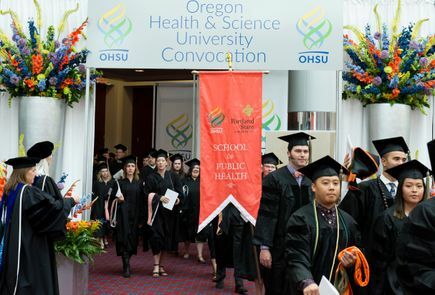 Hooding ceremonies for the OSU/OHSU College of Pharmacy will take place at 1 p.m., Friday, June 15, at the LaSells Stewart Center Austin Auditorium, 875 SW 26th St. in Corvallis. More information is on the College of Pharmacy website. Ceremonies for the OHSU School of Nursing campuses in Ashland, Klamath Falls, La Grande and Monmouth will take place June 14, 15 and 16. More information is on the School of Nursing website.